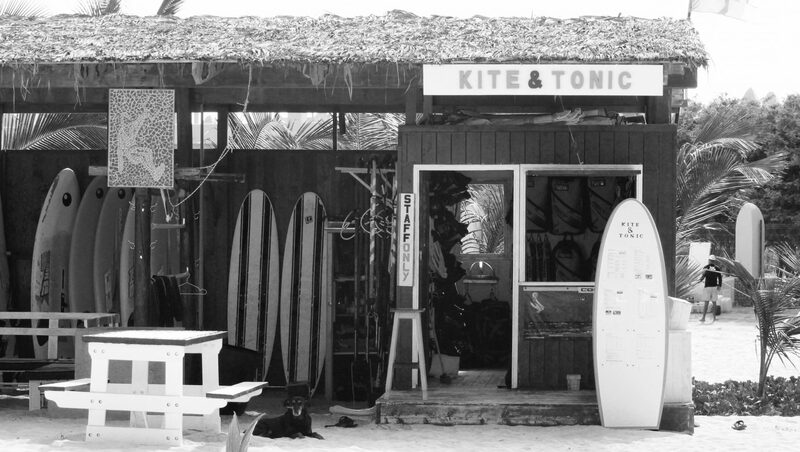 Welcome to Kite & (Wind)surf school’s website: “Kite & Tonic”. We focus on safety, progress, fun, kitesurfing and windsurfing. Together we will make sure you will be on the water in no-time. 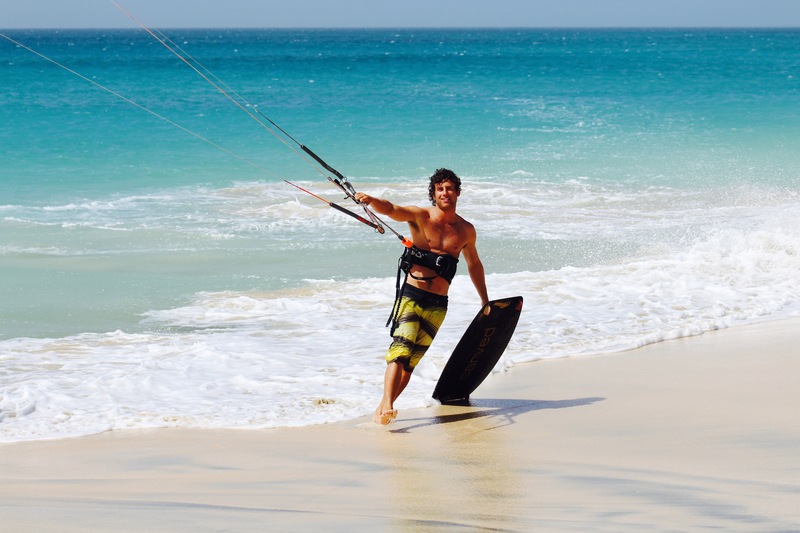 Kitesurfing and windsurfing at Riu Beach in Cape Verde is a wonderful experience! A maximum of 2 students per instructor on the perfect spot at Riu Beach Cape Verde. 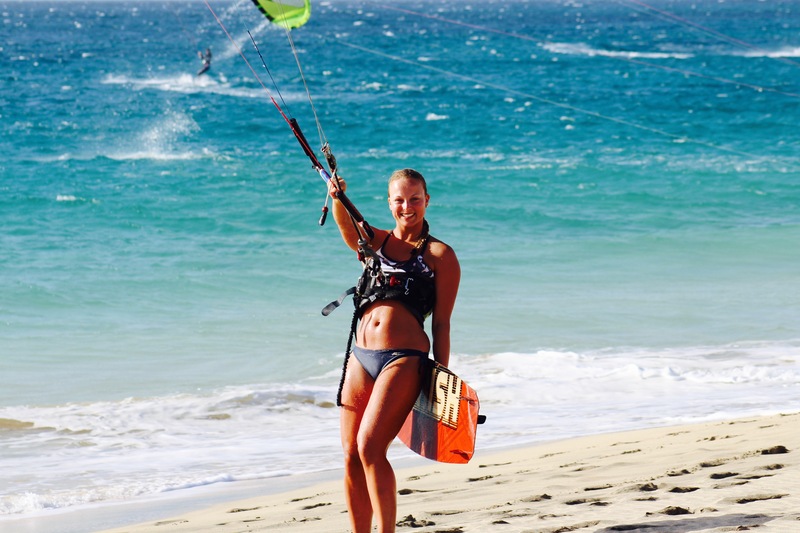 Kitesurfing lessons & downwind trips with a boat. Kite & Tonic stands for quality and fun. Are you ready? Enjoy the sound of wind passing your ears, turtles under your board and the miracles of the ocean. Our instructors speak the following languages: Dutch, French, English, basic German, Spanish, Italian, Portuguese and Creolo. Learn how to kite surf! Complete package of 11 hours of private lessons by a recognized teacher! Become a windsurf pro! Full package of 5 hours of private lessons by a recognized teacher! A Belgian, very passionate instructor (Anthony) along with his energetic Dutch friend (Lisette) will, with a positive drive, help you to get onto the water as fast as possible. The majority of our lessons will be instructed by the owner of the school (Anthony). He can teach you the ins and outs at the level most suitable for you. Anthony teaches in Dutch, French, English, basic German and Spanish. Our additional instructor and windsurf-specialist (Gabry) teaches in Spanish, Italian, Portuguese and Creole. Together with the management and organisational talent of Lisette we will give you a unique experience during your holiday. A small and charming team to deliver quality and safety. Kite & Tonic is the spot for kitesurfing on Sal Cape Verde. A beautiful beach, wonderful waves, a pleasant place for the entire family and a perfect place for kitesurfing and windsurfing. We are working with a small team, teach in multiple languages and work with well-maintained materials. We focus on quality, which means a maximum of 1 or 2 students per instructor for maximum safety and progress. Furthermore we avoid the busy ‘Kite Beach’ because we teach from our boat. This ensures you will learn faster and safer. Discover us, hopefully we will see you on the water soon & check us out on TripAdvisor.